Ireland have never defeated New Zealand but the same can’t be said for the 20s side. The U20’s side have just defeated the Baby Blacks 33-24 in a thrilling encounter at The Academy Stadium in Manchester. Nigel Carolan’s men came into today’s clash following a brilliant opening win over Grand Slam champions Wales. 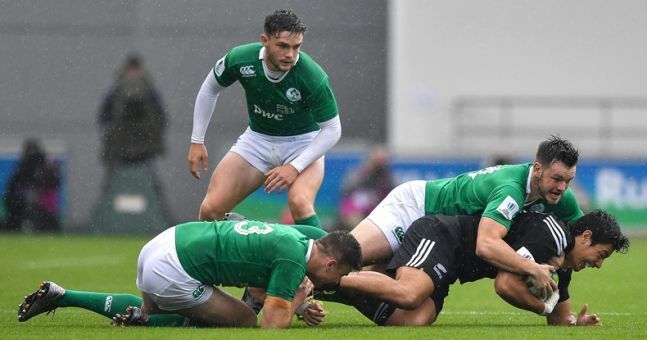 The three-try victory over New Zealand U20 all but guarantees Ireland’s place in the semi-final. Tries from Adam McBurney, Max Deegan and Greg Jones were enough to see Ireland over the line against the Baby Blacks. A fantastic day for Irish rugby, now it’s the senior side’s turn as they take on South Africa at 4pm.